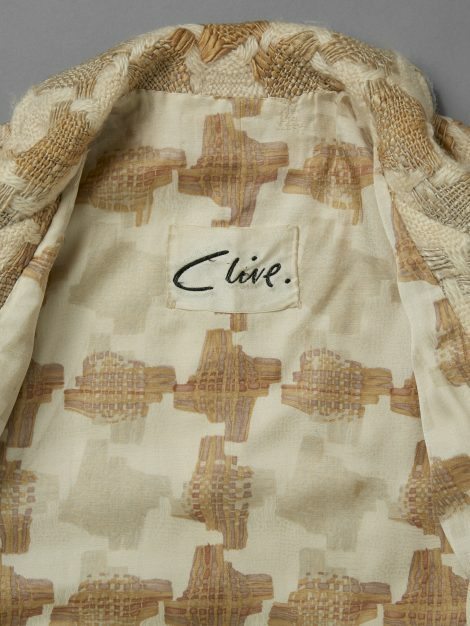 The London couturier Clive Evans founded his business as ‘Clive’ in 1963, after having worked at the prestigious houses of Lachasse and John Cavanagh. 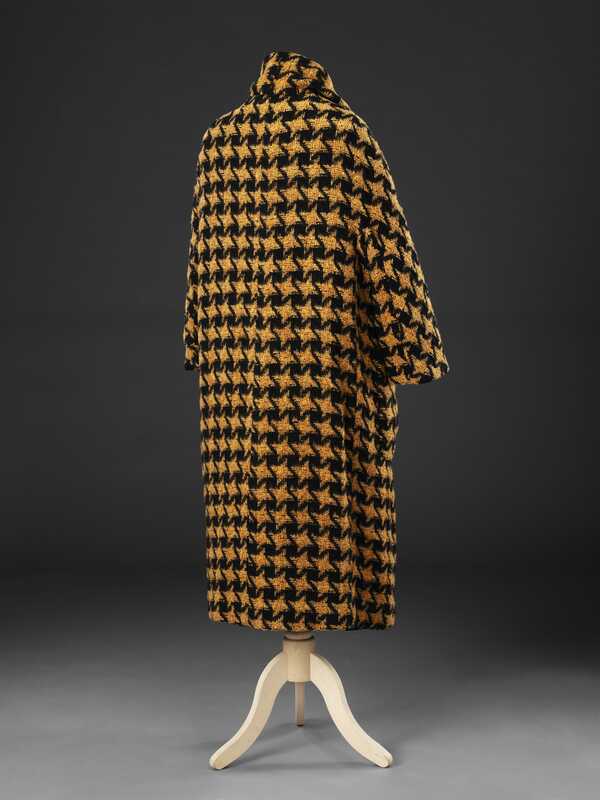 His many clients included well known actresses and prominent figures of London society. 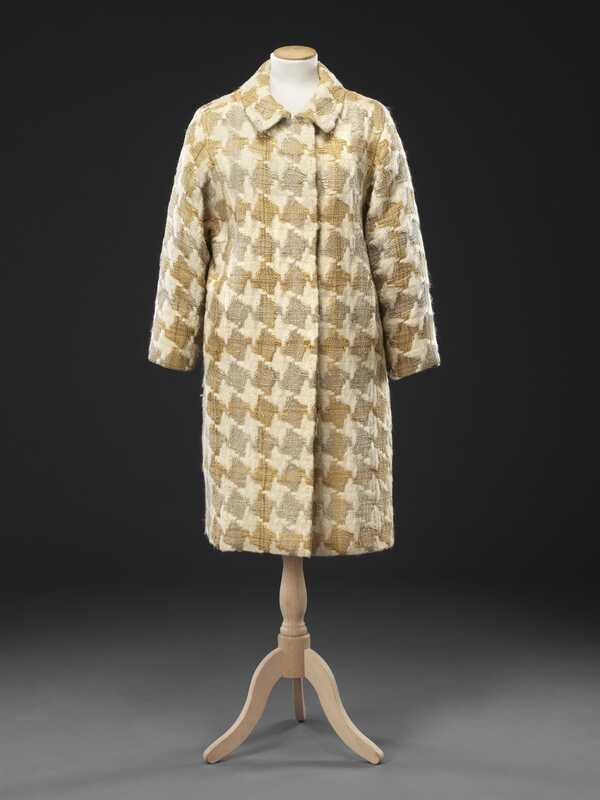 The coat’s simple elegance of design and construction, with minimal shaping and lack of buttons and buttonholes, reflects Evans’ admiration for the Spanish couturier Balenciaga and the influence of his former employer John Cavanagh. 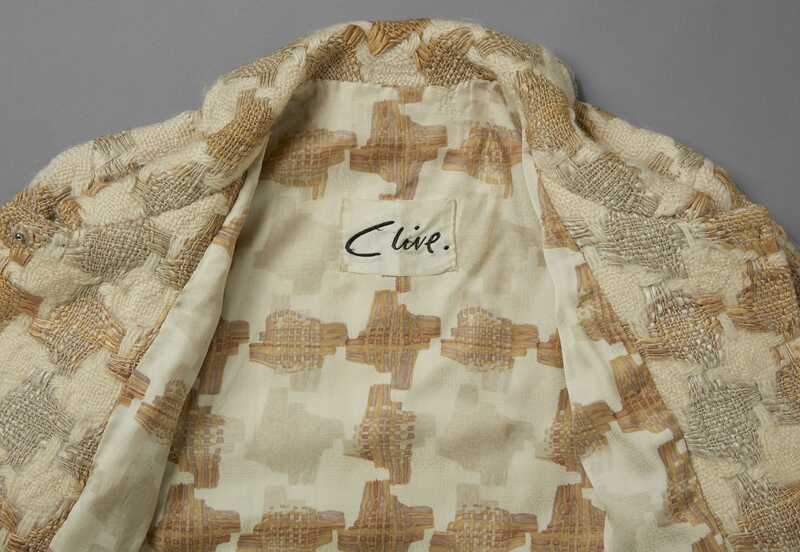 It relies for its considerable impact upon the quality of the fabrics from which it has been made – a large scale checked wool tweed lined in a silk printed to match its design, colour and weave exactly. 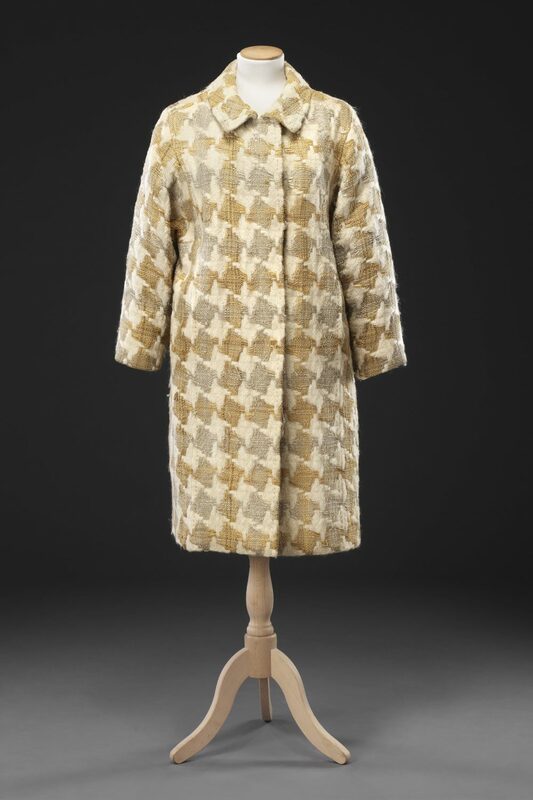 Although the coat entered the John Bright Collection alone, it seems likely that it was originally paired with a dress of the same silk. The fashion for coat and dress outfits of this type dates back to the 1920s when they were popularised by Coco Chanel (see Related Items), and continued at least into the 1960s in the collections of designers such as Hardy Amies. 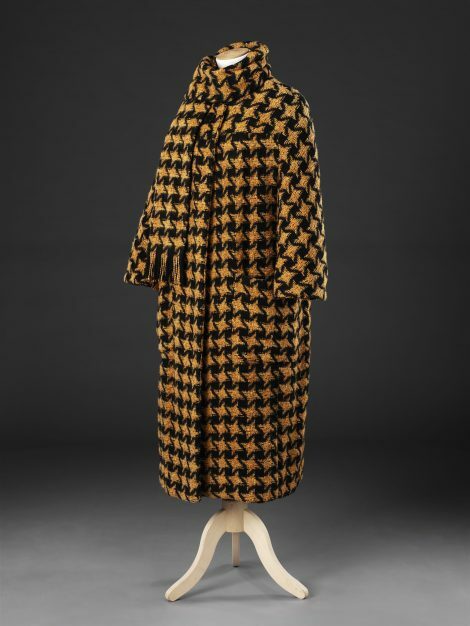 It could also be conjectured that the two fabrics were produced by the textile company Ascher who supplied top international couturiers with sophisticated and innovative tweeds, mohairs and printed silks, and was renowned for both its woven and printed checked fabrics. 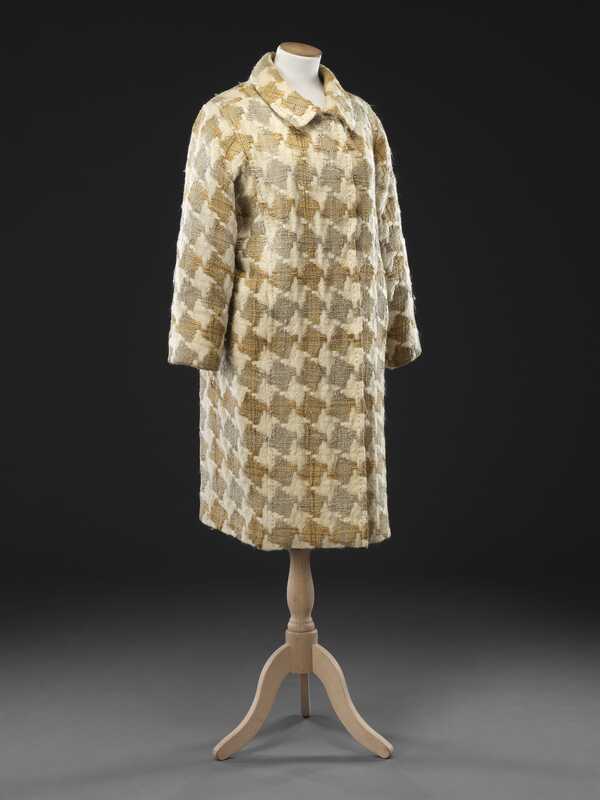 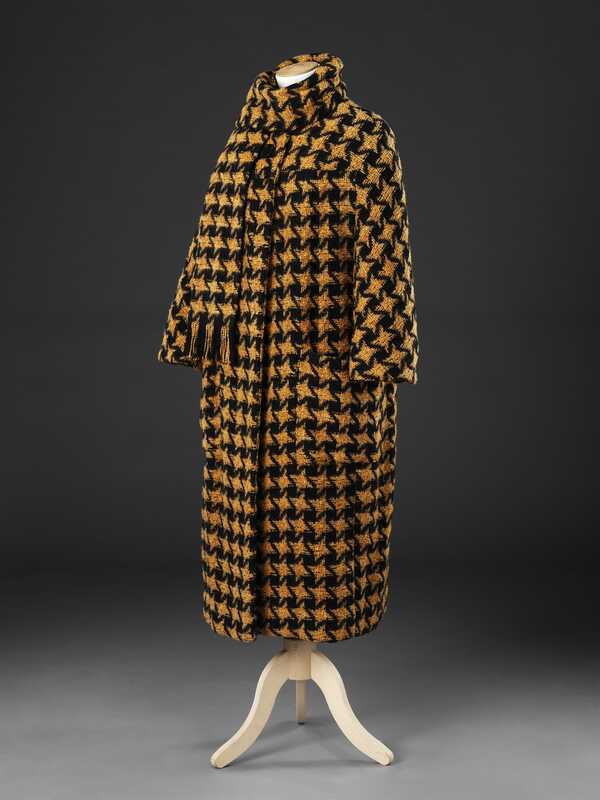 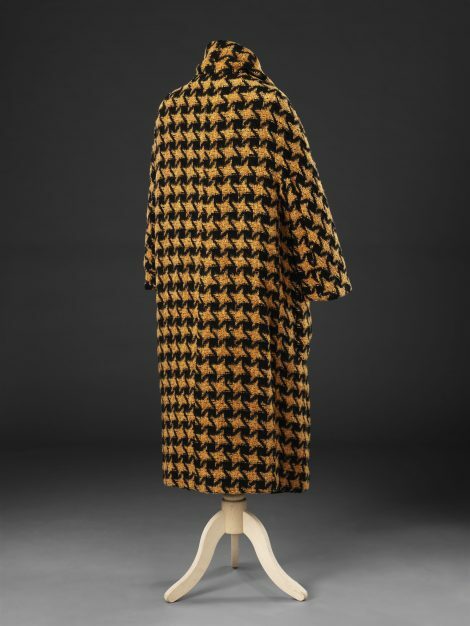 The ginger and black checked wool coat, illustrated in ‘Additional Images’, is an example of the influence of designers such as Clive Evans upon the mass market.